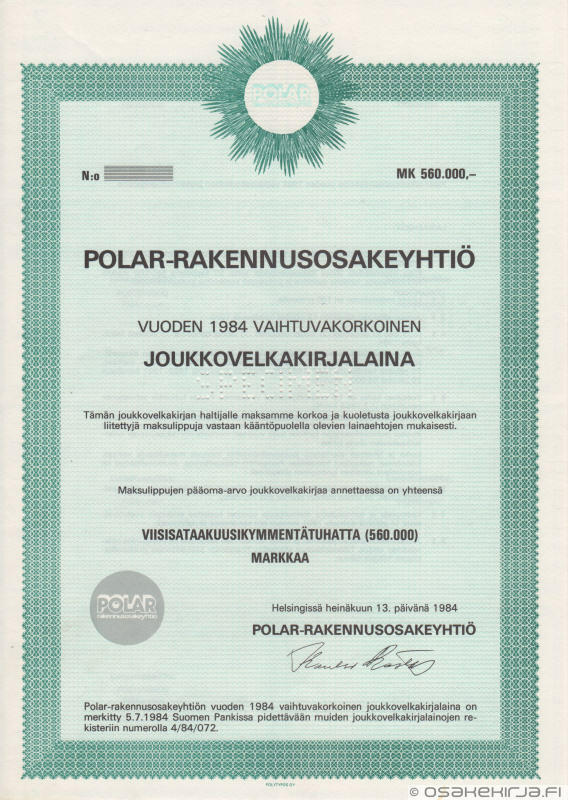 A book publisher owned mainly by Reenpää family was founded in 1890. Otava still continues its operating as the second largest publisher in Finland. 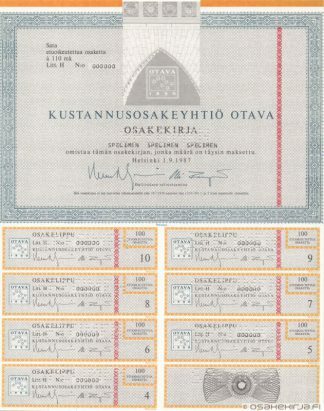 The share of Otava was listed in the Helsinki Stock Exchange from 1945 to 1991. 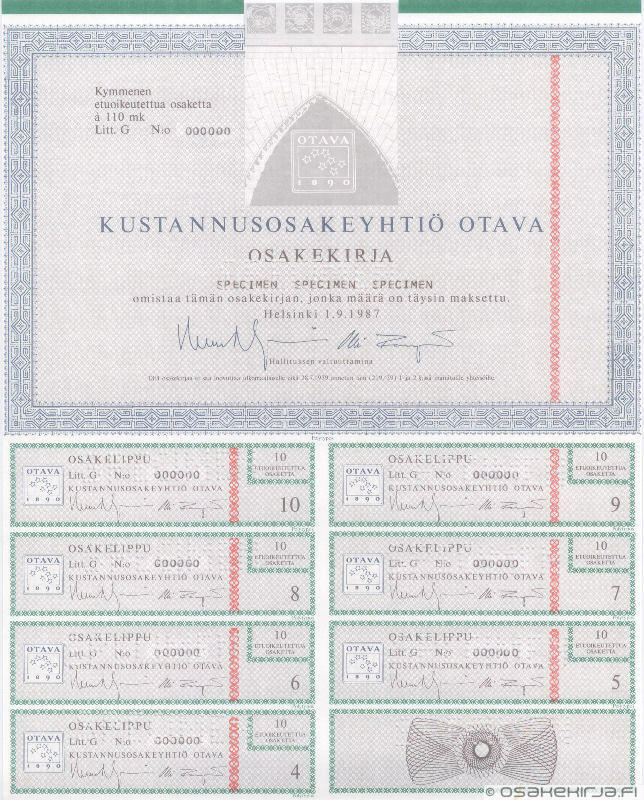 Nature of business: Publisher of fiction and non-fiction, text books, gravure printing, book printing. 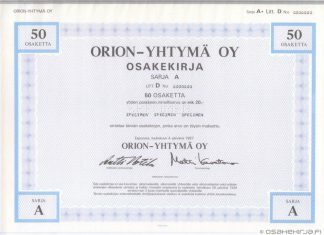 Name Otava means in English constellation of Big Dipper or Plough.